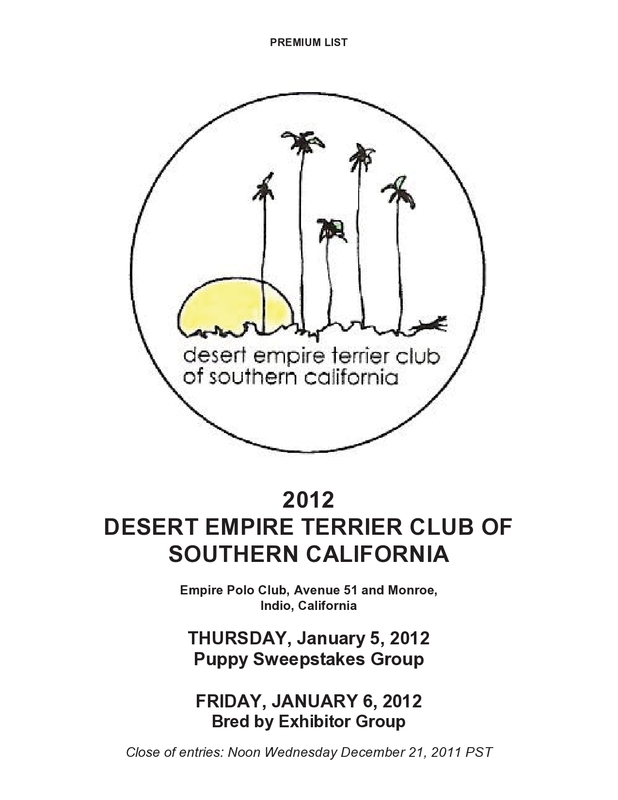 Our January 6th (Friday) Specialty will be held in conjunction with the Desert Empire Terrier Club of Southern California shows at the Empire Polo Club grounds in Indio. Download premium list. About an hour after judging we will meet at Star Ott’s trailer for a potluck lunch and club meeting. Please join us! This entry was posted in dog show, specialty and tagged border terrier, dog shows. Bookmark the permalink.